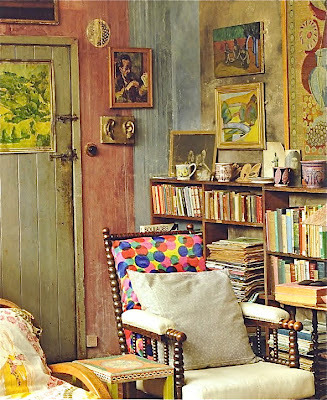 The Bloomsbury Group was a small, informal association of artists and intellectuals who lived and worked in the Bloomsbury area of central London. 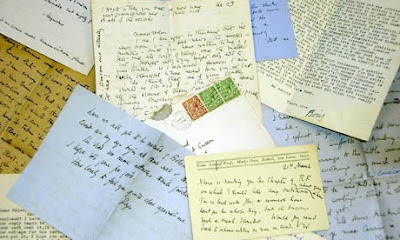 Most prominent of these was novelist and essayist Virginia Woolf. In all, only about a dozen people at any one time could have called themselves members of the group. Beginning shortly before 1910, the Bloomsbury Group gathered at irregular intervals for conversation, companionship, and the refueling of creative energy. The members of Bloomsbury, or “Bloomsberries,” would more or less maintain allegiance to their mutual philosophy of an ideal society, even through a World War and three decades of tectonic shifts in the political climate. They had no codified agenda or mission. They were not political in the ordinary sense of the word. Most importantly, there was no application or initiation required to become a member. Bloomsbury was an informal hodgepodge of intellectual friends, and one either merited inclusion to that circle or one did not. No rules of order, as in a committee, governed the way in which Bloomsbury managed their interactions. Instead, they held impromptu dinners and gatherings where any number of topics was the subject of serious discussion and contemplation. 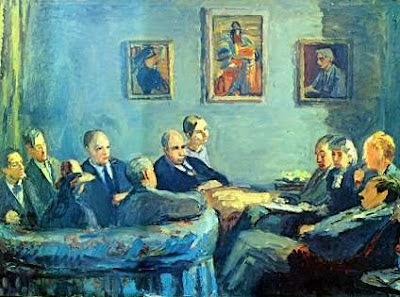 These intellectual exchanges served as the main influence on later work by individual members. By no means were all members in full agreement on all subjects. Some of Bloomsbury’s most stimulating ideas and writings were borne out of internal disagreement and strife. One can safely say that each member of Bloomsbury was leftist in his or her politics, although as individuals they expressed their politics in very different ways. If there is a founding document for the Bloomsbury Group, it is likely George Edward Moore’s Principia Ethica. Moore was a contemporary of the Bloomsberries, and one of the most influential English philosophers of the early twentieth century. He railed against any school of thought which could not in some manner produce practical advances for human society. He was dismayed that the natural sciences had seen such rapid progress, while philosophical inquiry languished far behind. Of all his contributions, his ethical formulations were possibly the most resonant then and now. In brief, Moore explained that “good” is not a thing that can be described or defined with other words. It is simply known for what it is by all rational beings. Tied to this was the idea that there was an “intrinsic worth” to things and ideas that superseded utilitarian ends. In other words, an idea or feeling can be right and good without having to prove itself so, or needing to produce good for others. The Bloomsbury Group took the idea of intrinsic worth to heart, basing much of their political activism on the belief that their ideas were innately good. A significant fact about the Bloomsbury Group is that the members, for the most part, did not achieve their greatest fame until later in life. The Group held its discussions and parties while all the participants were still virtually unknown. 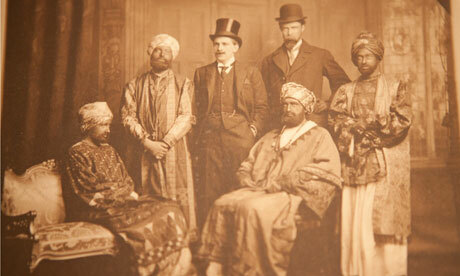 The men of Bloomsbury were students at King’s College and Trinity College, constituents of Cambridge University. They were almost all high achievers and active in student life, yet one must imagine that they didn’t quite fit in as well as other students. Many of the Bloomsberries held particular ideas on human society which at the time seemed beyond radical. For example, the noncritical assessment of homosexuality, however appropriate today, was considered a serious moral error in the early twentieth century. Indeed, many of the Bloomsberries called into question the idea of traditional monogamous marriage. Several advocated for and practiced polyamory – multiple, consensual romantic partners. The idea of this level of sexual liberation in Edwardian England was unspeakable. In a sense, they made it very easy for their generation to dismiss them as quacks and deviants. However, none could deny that the Bloomsbury Group brought a great deal of intellectual clout to bear on any issue of the day. 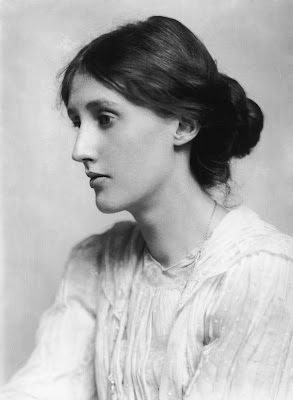 The de facto leader of the Bloomsbury Group was Virginia Woolf, born Adeline Virginia Stephen, who descended from an eminently Victorian and moneyed household. Her father, Sir Leslie Stephen, was an accomplished writer, and most certainly a powerful influence on his daughter’s intellectual development. Upon his death in 1904, Woolf and her two brothers, Thoby and Adrian, moved into a dwelling in the Bloomsbury neighborhood of London, and thus the foundation of the Group was firmly in place. Woolf was a gifted writer from her earliest years. Her essays, such as A Room of One’s Own, are cornerstone pieces in the history of feminist literature. She also wrote extensively on more strictly literary topics, and her theories on fiction have continued to draw the attention of critics. The novel, though, is where Virginia Woolf found her truest and most natural form of expression. Mrs. Dalloway, published in 1925, showcases the full range of her talents, as well as demonstrating the effervescent stream of consciousness style for which she was famous. Without a doubt, the writings of Sigmund Freud made a profound influence on the artist Virginia Woolf, but she gave her creative outputs a vitality entirely her own. There is poignancy to Woolf’s characterizations that raw psychoanalysis does not achieve. Virginia and Leonard Woolf married in 1912, and their partnership would be both intimate and professional. As she was born into wealth, Virginia was fortunate in not feeling the need to marry for financial security. Indeed, Leonard Woolf was not well-off by any measure, but he was an excellent writer with a razor-sharp intellect, qualities which Virginia would certainly have admired. They shared a great deal in terms of political views, even when such views threatened their marriage. In 1917 they founded the Hogarth Press, which published some of the most important literature and non-fiction of the day, including Eliot’s Poems and recent translations of Sigmund Freud. Their work in bringing attention to up and coming writers was pivotal in the careers of many talented artists. Another founding member of Bloomsbury was critic and biographer Giles Lytton Stratchey. For the early part of his adult life, Strachey was concerned merely with generating enough capital to support himself. He therefore relied a great deal on the kindness of friends and his mother in order to have a place to live and the leisure to write. His health was never excellent, and he was given to long bouts of illness and depressive episodes. Strachey’s first great achievement was the publication of Landmarks of French Literature. Though financially not a windfall, Landmarks established him as one of the best critics of his generation. Ironically, Strachey was not considered one of the brightest students when he took his scholarship examinations – he was denied entrance to Balliol College, and had to settle on Trinity College instead. Landmarks of French Literature also set a cosmopolitan tone that would be shared by most of Bloomsbury. Indeed, Stratchey traveled as much as his health and money would allow, and his various sojourns would provide inspiration for much of his writing. 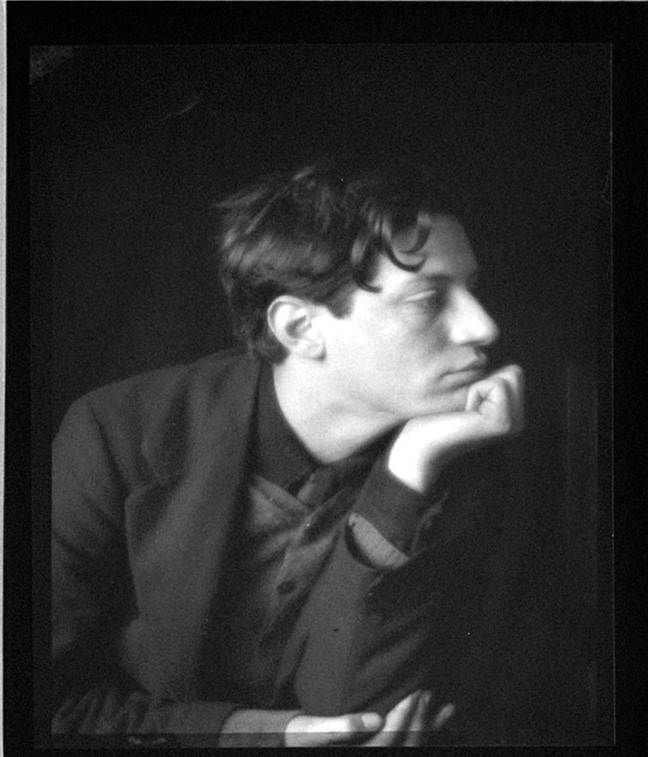 One of his most important experiences undoubtedly was the friendships he made at Cambridge, and the rich conversations fostered by the Bloomsbury Group. While working on a thesis at Cambridge, Lytton Strachey became close friends with Thoby Stephen and Clive Bell. Together with Thoby’s sisters Virginia and Vanessa, these five formed the core, original members of the Bloomsbury Group. Though they certainly recognized his talents, it was not until nearly ten years later that Stratchey would begin crafting Eminent Victorians, the work that cemented his reputation as one of the great modern biographers. His mission was to tear down the myth structure that had erected itself around the Victorian era, in both English and American imaginations. He accomplished this chiefly through his sense of humor and an irreverence that until then had been absent from the biographical genre. Eminent Victorians is a study of four prominent figures from nineteenth century British history. Strachey deconstructs and thereby humanizes these archetypal figures. He does away with the notion that the Victorian Period was one of high moral standards, instead bringing it down to the modern level of decadence. In doing all of these things, Stratchey effectively redefines the biography and what it can do. The critical reception of Eminent Victorians was overwhelmingly positive. If anyone doubted that the western world had moved on to another period in its cultural history, Strachey dispelled those doubts. One of the most accomplished members of the Bloomsbury Group was the celebrated novelist E. M. Forster. Be some accounts, he was only a peripheral member, but his influence on the Group, and their influence on him, is readily apparent. What makes Forster unusual is that he came to the group at a later point in his life, having already established a reputation as a writer of the first order. His novels are exquisitely detailed and critical observations on the state of British Edwardian society, that is to say the end of the Victorian era, but not quite the beginning of the Modern era. He keenly felt the uncertainty and worry that was plaguing all strata of British society. As a contrast to the stuffiness and routine of the British middle class, Forster held Greek and Italian peasant life in high regard. A world traveler, Forster was truly a man of the Empire, yet he was quick to turn his critical gaze on the unsavory aspects of imperialism. His last novel, A Passage to India, highlights the vast cultural gulf that lay between England and her most prized colony. Novelists, journalists, painters, philosophers, and critics: All these and more comprised the membership of the Bloomsbury Group. Even the noted economist John Maynard Keynes was a central member of the Group. This mosaic of professions and intellectual pursuits made Bloomsbury unique and influential well beyond its small membership. On the one hand, the radical politics of Bloomsbury made them ripe for mockery in the media. Their private lives became not so private, as gossip about extramarital and polyamorous relationships became tabloid fodder. Their unconventional modes of living made it far too easy for their contemporaries to dismiss them, as they frequently did. Noted poet Roy Campbell satirized the Bloomsberries in “The Georgiad,” and referred to its members as “intellectuals without intellect.” They were also widely criticized as elitist, atheist, and unpatriotic. By and large, such criticisms were over the top and unwarranted. The Bloomsbury Group was many things to many people. One can reasonably assert that the members reveled in the controversy they sparked and the ire that they drew from the conservative establishment. Many of them were leaders of anti-war movements and outspoken on social issues of the day. Virginia Woolf has become a cultural icon well beyond her feminist associations. Much of the literature produced by the Bloomsbury Group was revolutionary, in both form and subject matter. Lytton Stratchey, as much as anyone, destroyed the notion of Victorian moral rectitude. E. M. Forster, a thoroughly English novelist by any measure, revealed the flaws of imperialism, while also warning against the stifling of human nature by a too-rigid society. If one element can be said to unite all the disparate parts of Bloomsbury, it was their universal criticism of the establishment. Each voiced that criticism differently and in different media, though the roots of their sentiments were the same. 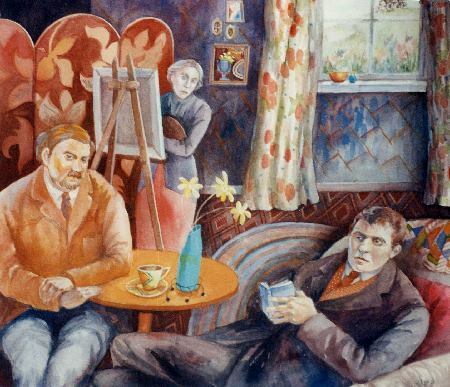 One way of thinking about the Bloomsbury Group is that they formed a bridge between the Victorians and the Moderns. Originating in London in the first decade of the twentieth century, the founding members of Bloomsbury saw the passing of the Victorian state of mind, and the Victorian way of doing things. No one at the time was sure what sort of world would fill this void. For Virginia Stephen and her brothers, as well as Cambridge friends Clive Bell and Lytton Stratchey, it was an invigorating time to be young and passionate. They probably imagined that the world could be molded to their way of thinking. Their overarching agenda, an agenda that included world peace and human progress, was a profoundly ethical statement. And yet, the Bloomsberries were out of step with mainstream English society. Much of their ambition was thwarted by the conservative establishment. However, their ideas and their writings were revelatory, and continue to be influential for creative artists in nearly every medium and genre. This article is copyrighted © 2011 by Jalic Inc. Do not reprint it without permission. Written by Josh Rahn. Josh holds a Masters degree in English Literature from Morehead State University, and a Masters degree in Library Science from the University of Kentucky. Hi - I enjoyed this blog site, but I am very sorry that the paintings have not been acknowledged by telling which artists painted them. Thank you for the comment, Helen. 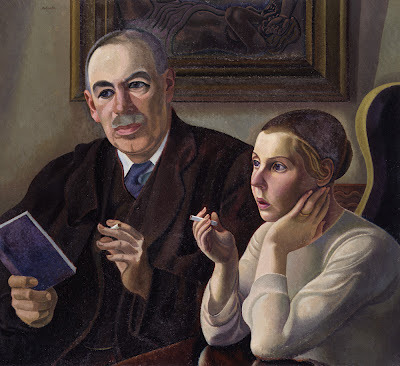 You made a good point - so: the first painting is 'The Memoire Club' by Vanessa Bell; and painting of John Maynard Keynes and Lydia Lopokova is by William Roberts. Unfortunately, I am not sure about the author of the picture of Vanessa and Clive Bell with Duncan at home.